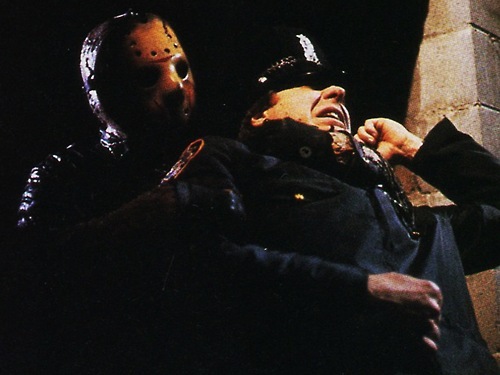 Jason Attacks the Cop.. . Wallpaper and background images in the फ्राइडे द थर्टीन्थ club tagged: friday the 13th jason voorhees part 8 jason takes manhattan kane hodder scene death. This फ्राइडे द थर्टीन्थ photo might contain बिजनेस सूट and संगीत कार्यक्रम.